The closures used for 5gal water containers are known as HOD (home and office delivery) closures. The necks of these containers are standard across the world. Due to the blow moulding process, however, the necks usually exhibit poor quality and a variation in diameter which often results in leakage from 5gal container, except where an adequate HOD closure is used. 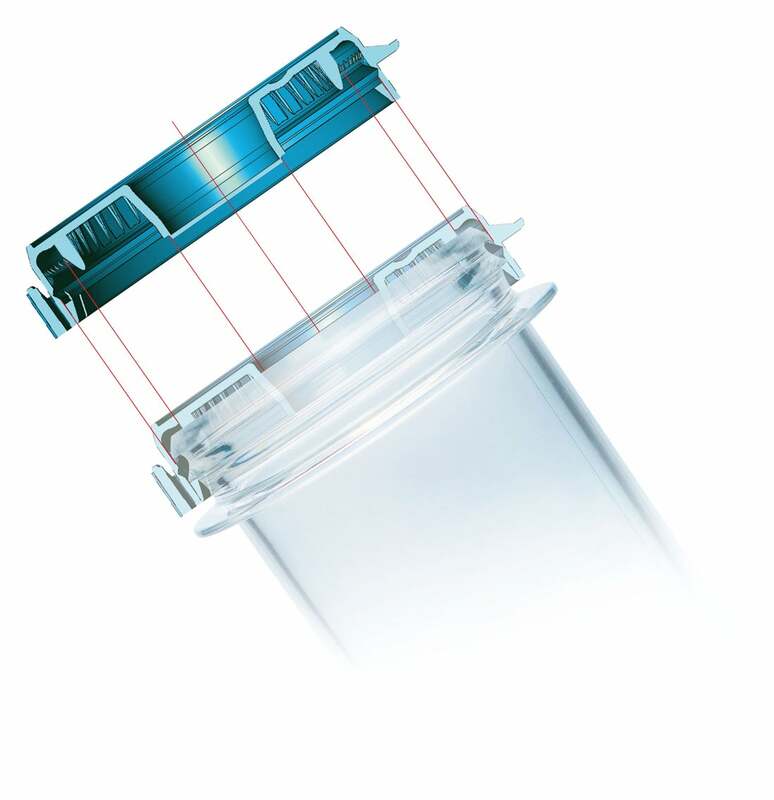 In response to the poor quality of the bottle necks of up to 5gal containers, several years ago BERICAP developed a 2K HOD closure (shell plus liner) which ensured absolute tightness even on poor bottle necks and under extreme supply chain circumstances. In line with the global trend towards improving the quality of packaging and cutting costs, BERICP has developed a lightweight 2K HOD closure, saving about 30% of resin. Over the last few years some HOD bottlers in North America, Europe and Asia have started to improve the packaging quality of the HOD containers by moving from a blow-moulded container to an injection-moulded PET container. The necks of such containers are of good quality with only small neck diameter tolerances. BERICAP has successfully developed a liner-less one-piece closure fitted with a specific seal ("Valvelock Trumpet"). It was tested successfully on new PET necks and the 5gal containers have proven to be leaktight. Both new closure types are available with a centre shutter and also with a low-cost pierced centre membrane. In addition, Bericap has developed an ultra-light neck/closure solution (Valvelock SuperShort) for one-way PET containers in cooperation with SIPA. Weight savings in excess of 18% on the neck and 40% on the closure are achievable.